Good question, we love to explain it. In the current transport packaging for valuable works of art you still recognize this form. Somewhere in history apparently someone thought it was wonderful to leave the "bin" around the painting and to hang it on the wall. And we share this opinion completely! The canvas print seems to float in the frame and this gives a beautiful spatial effect. The photo on canvas print is framed nicely, it stands out beautifully and is an eyecatcher on the wall! We supply our floating frames in three colors: black, white and bare wood. 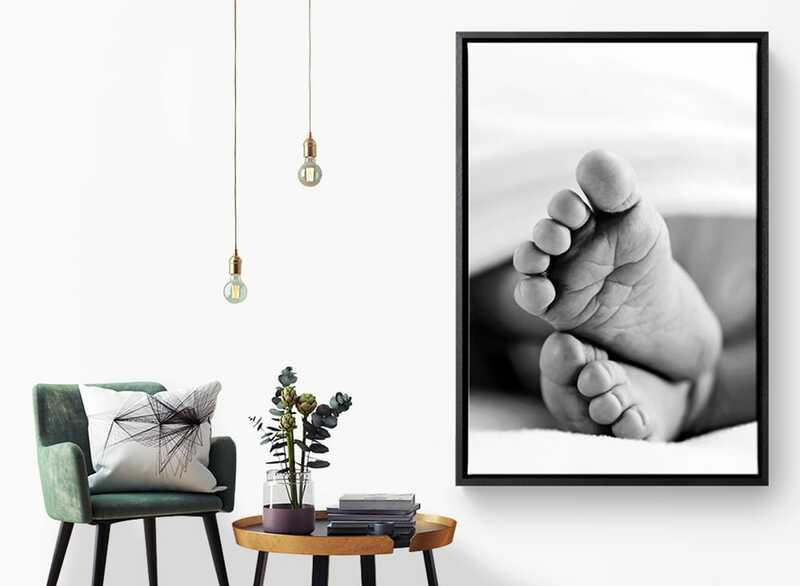 A floating frame for your canvas print is definitely worth a try. You will be amazed by the result!